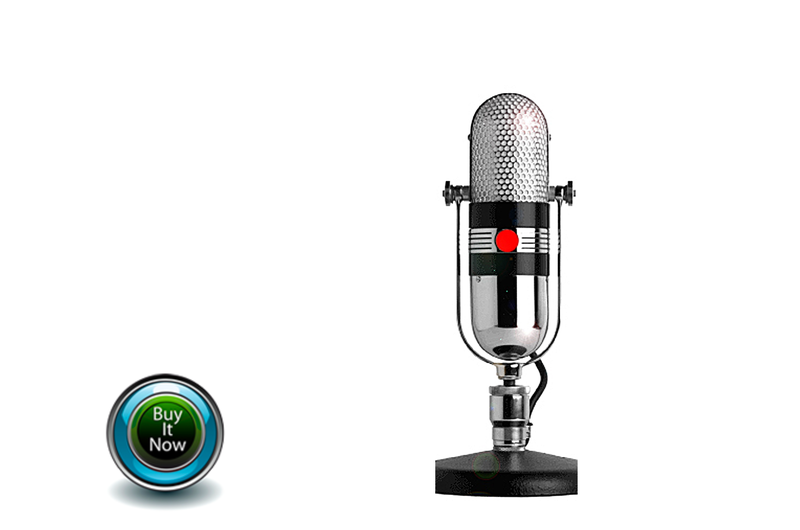 Simply put, voice over is a voice-driven business. So doesn't it make sense to learn it from one of the top voice coaches in the industry—the same fellow "million-dollar voices" have gone to for private training and coaching? Master Vocal Coach Dan Balestrero, is one of the most respected teachers in the country, and whose private client list has included voice over talents earning six- and seven-figure incomes. Now Dan's entire 5 hour home study course are digital MP3 downloads, offering Dan's voiceover instruction, vocal development techniques, and industry guidance that will help beginners and professionals alike navigate this highly lucrative field. 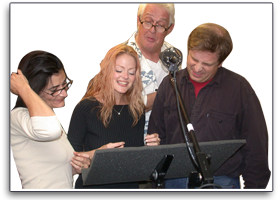 Because it's based on the exact materials and exercises taught in our Los Angeles classes, Mastering the Art of Voiceover iTraining Download Store offers you the same complete overview of the industry—as wells as the skills required to master it, right in your own MP3 player, all easily arranged by track. New to the business? We'll cover all the details... the realities of breaking in, how to break down copy; how to compile a first-rate demo, how to get that first critical agent. Had some experience? Mastering the Art of Voiceover will help you refine your marketing and target your clients better. Because we work with both beginners and professionals alike, we know what voice over artists ask for, and need, most. We've strived to make Mastering the Art of Voiceover as complete as we can, and as accessible as you need. Ultimately though, it's about your own voice. That's why in part 3 we'll introduce you to a world of powerful vocal development techniques to bring your voice to its fullest potential. Compiled from his 25 years' experience teaching opera stars, actors and voice over artists, Master Vocal Coach Dan Balestrero will take your through his simple and effective exercises for maximizing your vocal instrument—and your competitive edge. Want to know how to sound fresh and spontaneous even after your 22nd take? Track 7, "Freedom of Tone". Learn how "head voice" can make your voice record better than the next guy?—Track 12. Want to know how to manage air flow so you never run out of breath again? How to balance the energy between consonants and vowels to minimize flubs? How to rehearse to get more "natural?" It's all solved here; everything a working voice over artist needs to know to produce winning, smooth reads, time and again. You just add the practice. No other class or course offers so effective a training in the basics. Or so effective a professional advantage. Part Four. Managing Your Career. Here's where we put all together, because a successful career requires more than a set of skills, it requires a plan. We help you build that plan, and teaches you how to market yourself. In Dialogues Of the Successful Mind, and The Nature of Process, Dan will discuss his simple principles for empowering yourself and overcoming obstacles in this competitive—and sometimes tough— profession. Together with Dan you'll learn how to deal with nervousness, how to melt resistance, how to connect with clients in any audition, and—most importantly— how to be your own best supporter. 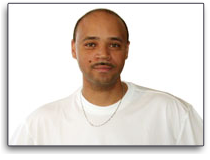 Here we teach you not only how to master voiceovers, but how to master your career. If you’re serious about making money in voiceovers, Mastering Voiceover download Lessons are the perfect way to stay out of traffic and still get the training you need. 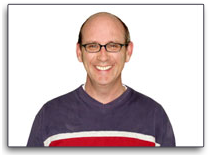 Now you can suppliment these lessons by scheduling private half hour phone coachings with Dan. This will be a great year to start your voiceover career. Want To Know How Well You’re Doing? 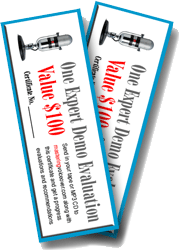 2 Free Demo Evaluations Are Included!